Victor Hugo once said that, "Music expresses that which cannnot be put into words and that which cannot remain silent". There is always joy in music, and remember that one good thing about music is that, when it hits you, you feel no pain. Good day my faithful readers, today's stroll, I would brief you guys on the description of this awesome multimedia app named Google Play Music. 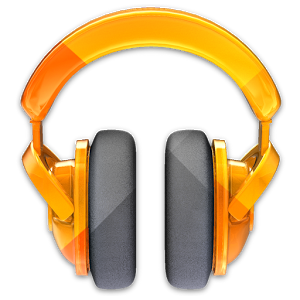 Google play music is an awesome multimedia app that helps you discover, play and share musics you'd love on your android and the web. #1.. Listening to radio with no limits and creating a custom radio from any song, artist or album. #4.. You can also get smart recommendation which is based on your taste. #5.. Helps you access your music anywhere without any means of syncing, and also helps save your favorite music for offline playback. #6.. You can also experience your musci without ads and many more cool features. Recently, some other updates was also pushed to the Google Play music app, which enables you change the description of a playlist and also share your playlist with your friends, stright from the device. Hope this multimedia app would serve you well. For more android tips, click here. Stay tuned by joining our daily email readers to get updated. To join simply Click Here, and also Like our fb page here to get updated.